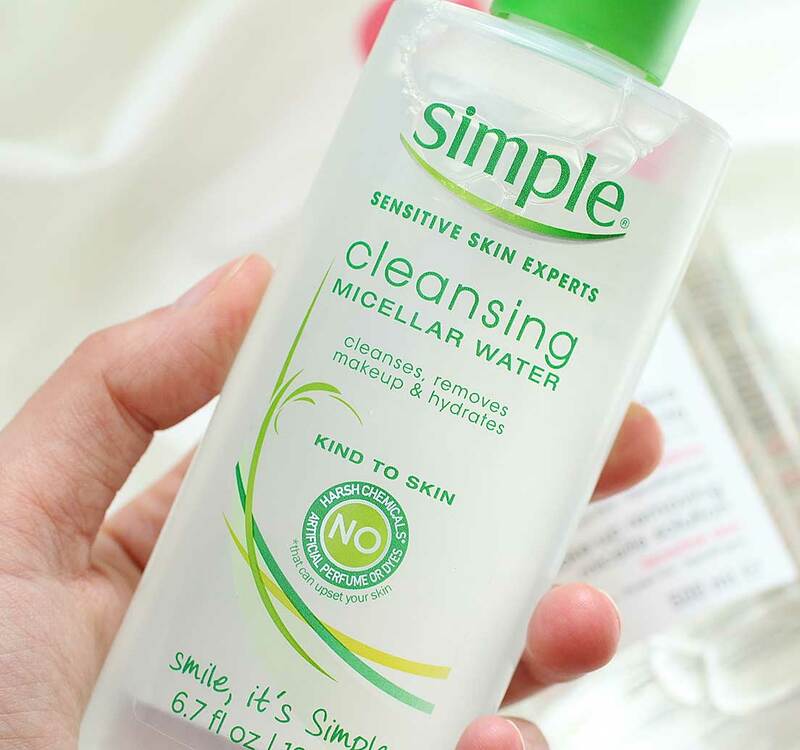 Today I’m reviewing Simple Cleansing Micellar Water. Micellar Water has been around for a long time, beginning in France. Ooh la la! So chic! There are tiny oil molecules, called micelles, suspended in water that are attracted to dirt, oil, makeup, etc. … and they draw the lil’ nasties away from your face without a harsh stripping cleanser attacking your skin and drying it out. Your skin should feel hydrated after using a micellar water. Directions: Apply the water to cotton rounds and wipe away grit, grime, and makeup. I think it works great! I really love using Simple Cleansing Micellar Water to remove makeup or to freshen up a makeup-less face after exercising. I would like to add that this particular micellar water does not remove waterproof mascara, which is problematic for a girl like me. So, I just wipe some coconut oil on my lashes beforehand, let it soak, and then follow it up with Simple Cleansing Micellar Water. For this reason alone I give this product a 3 out of 5, which actually seems unfair since I use it on a regular basis. But … I have another micellar water I use that my MUA adopted niece told me about, and it does take off waterproof mascara. Glory! Glory! Check out my review of Garnier Micellar Cleansing Water.